A cryptic chatbot that generates prompts for re-framing your uncertainties. When faced by a situation where we don’t know what to do, often we don’t even understand what alternative approaches there are, The Agency Agency helps you to explore what they could be. “Frictionful” user interfaces. I was tired of user over-friendliness, and algorithmic recommendation systems that just show us what they think we want to see, but rarely make us question ourselves. Hyper-reality and play. 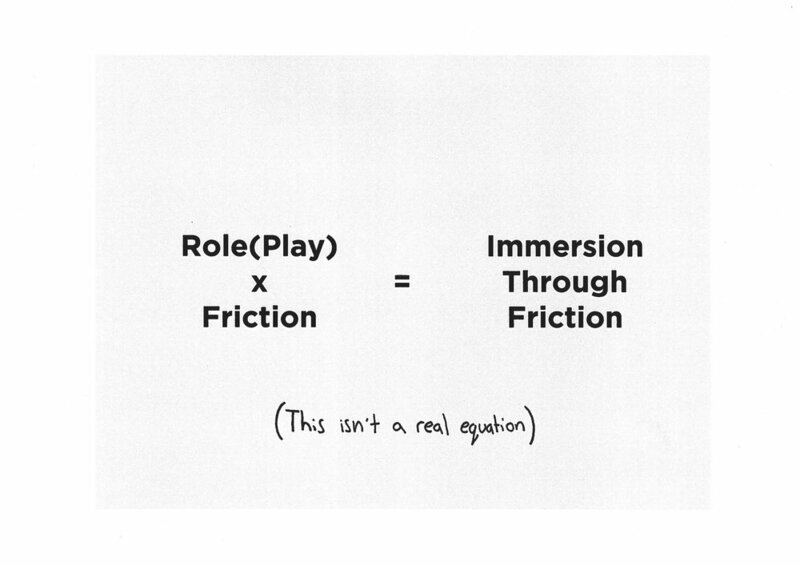 From my MANGO Labs project I was interested in the possibility of using roleplay to get participants to engage and be more open to experimentation. 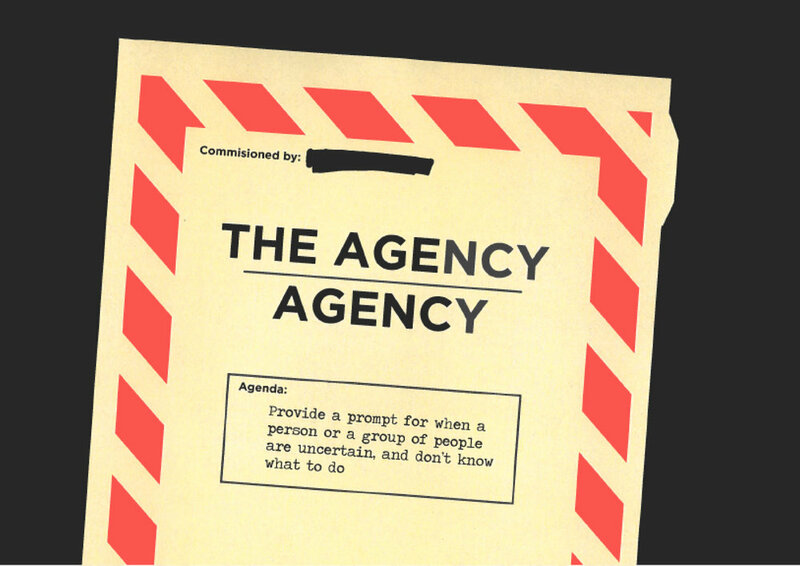 The Agency Agency starts as an Instagram based service, with a paired chatbot which participants interact with directly. The key interaction throughout is a simple cycle of Uncertainty — Prompt — Interpretation. A person or a group of friends are faced with an uncertain situation where they don’t know what to do. This could be anything from what to do on a Friday night, to whether to quit your job (both real examples from my prototype). The bot responds with randomly picked video of a prompt. The prompts provide perspectives, but not answers. They are then asked to reflect, and write back with their interpretation. This puts the responsibility on their shoulders, thereby encouraging them to actively think about the prompt, even if an interpretation isn’t obvious at first glance. The more a person engages with the service the more it starts to evolve, starting to send unrequested or more complex prompts. If the person reacts well to this evolution then they will be sent a private message being asked if they would like to evolve their role in the Agency Agency. At this point the prompts evolve into the cryptic messages used by spies in movies. The espionage theme offers the participant an opportunity to play along and engage with the service in a more expressive and challenging way. Interviews lead me to the idea of designing something that would lead people to behave differently than what their recommendation algorithm might have prescribed. Experimenting with randomness 2 My instinct is always to start experimenting as fast as possible, so while my final idea was being solidified, I was constantly carrying out smaller experiments to explore the edges of the topic. 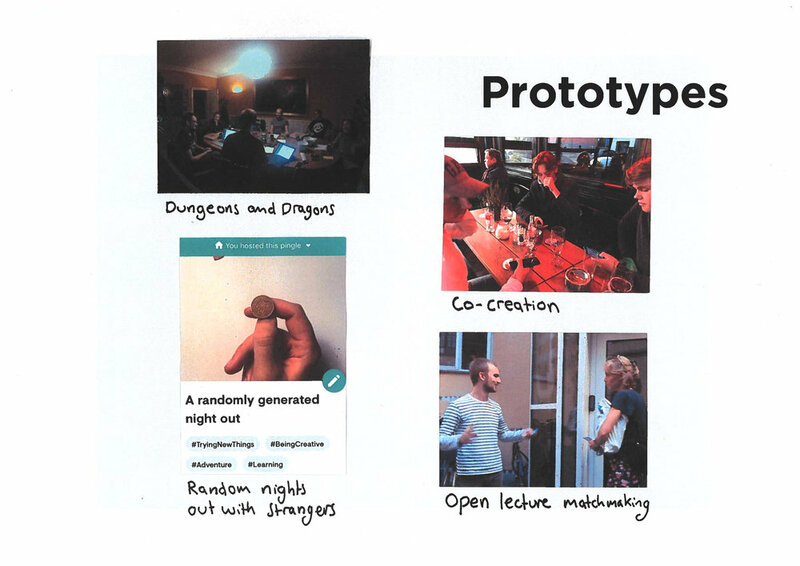 More extensive Prototypes Utgardar was an email service in which I sent randomised tasks, and algorithm breaking playlists to a group of 17 volunteers. The reactions indicated that it wasn’t about designing the experiences themselves, but about designing the opportunity and mindset to have those experiences. Uncertainty is this interesting emotion where we are simultaneously more likely to fall back on what we already know, whilst also being more open to outside help than usual, for example designers needing constraints. Making it the perfect moment to push a person to consider an approach that they usually wouldn’t. I found that an ambiguous prompt encourages the participants to fill it with their own meaning, thereby making it much more versatile than the very literal and specific tasks I had used in Utgardar. For The Agency Agency I made a real instagram account and accrued 50 followers, all of which I wrote to pretending to be the chatbot in the service. During that time I was also uploading instagram stories, and posting on the account in order to create community engagement. 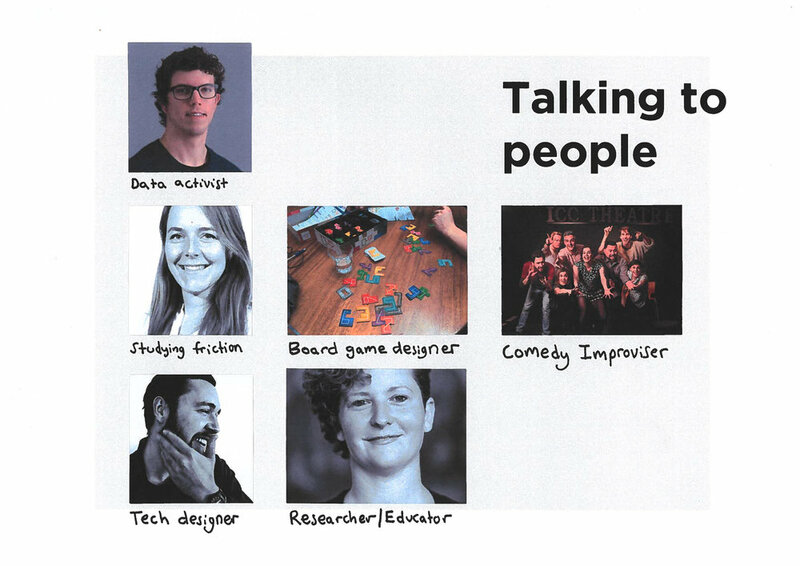 Prototyping by pretending to be a chatbot, allowed me to very quickly understand and iterate on the user journey. At the start of the project I thought designing for complexity meant designing the complexities themselves, but by the end I had come to the realisation that the world is already complex enough. I think as designers we need to become better at throwing our participants back into the complexity that is all around us. We should find moments where we are comfortable making them uncomfortable.